Here we go. 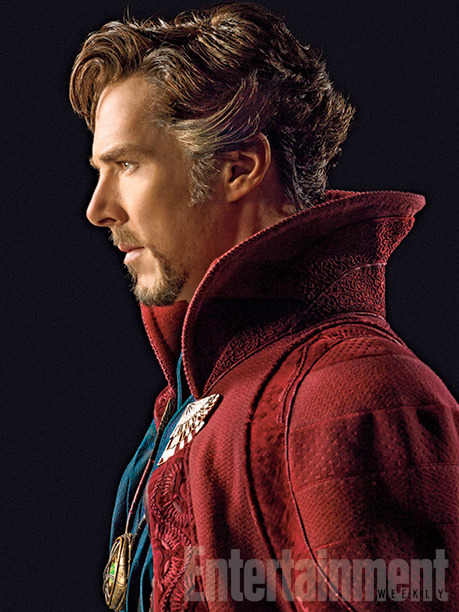 Marvel has unveiled the first photos of actor Benedict Cumberbatch in costume as mystical superhero Doctor Strange, for the upcoming Doctor Strange movie which is currently filming in London. However, they're just getting underway and Cumberbatch is still working on the physicality of the character. He told EW: "I’ve got to keep throwing these poses, these spells, these rune-casting things, everything he does physically… We haven’t played any of those scenes yet. I felt really self-conscious." These images are basically early promo shots, to give us our very first look at the character as filming continues. See below. 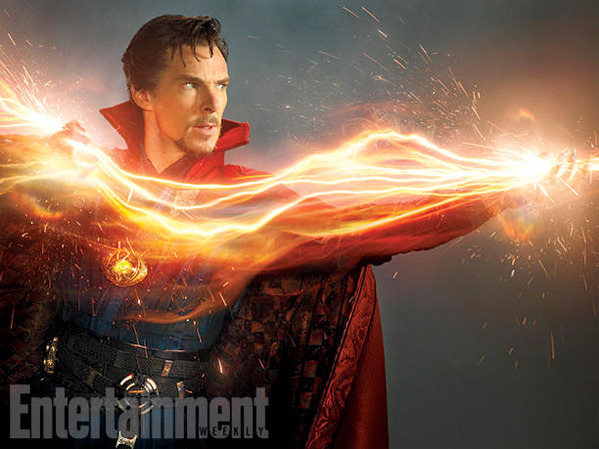 Marvel's Doctor Strange, with Scott Derrickson directing, just went into production this year with a release date set for November 4th, 2016 late next year. 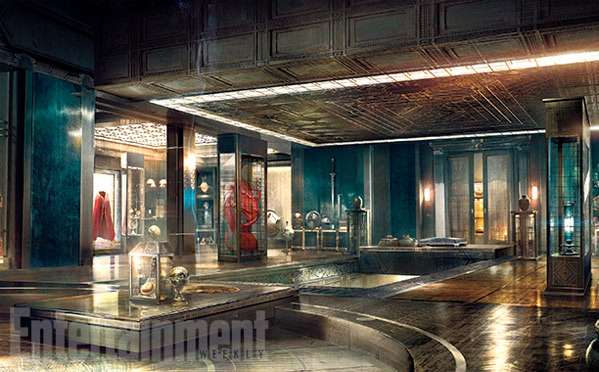 Benedict Cumberbatch plays Doctor Strange and Tilda Swinton plays The Ancient One. The script was originally written by Thomas Dean Donnelly & Joshua Oppenheimer, with work by Jon Spaihts. 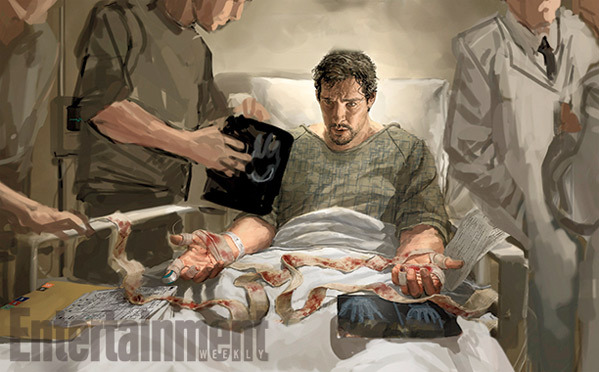 Doctor Strange follows a once brilliant neurosurgeon forced into retirement after a car accident destroys his once skilled hands. 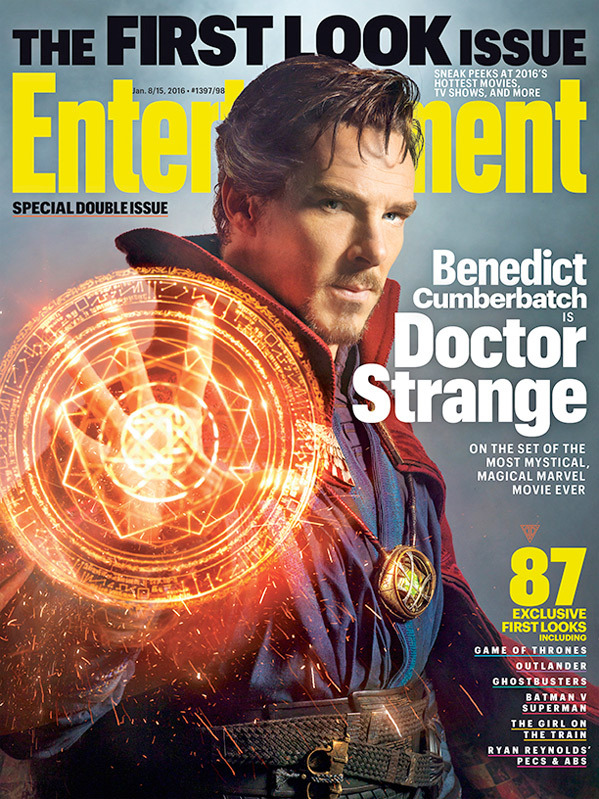 He then meets the Ancient One on a trip to Tibet and learns to become the Sorcerer Supreme. We'll be keeping an eye on this production and any other major developments. Stay tuned for more updates from Marvel with production underway in London now. love it. Can't wait for this movie. A new element to bring to the Marvel Universe. 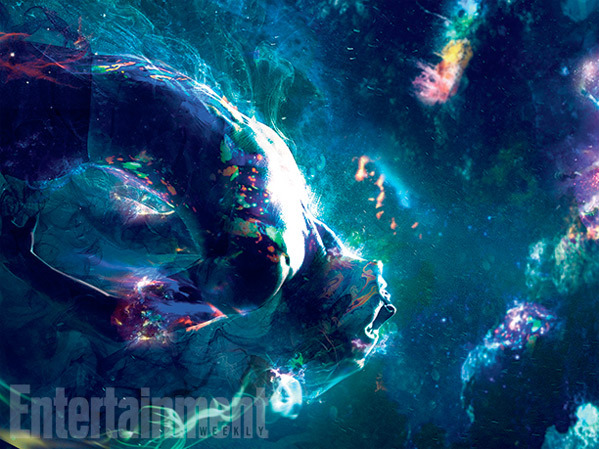 This looks exactly like images from a Doctor Strange movie. Wow he looks ridiculously cool as Strange. Can't wait to watch him in the Sherlock special in 30 minutes!